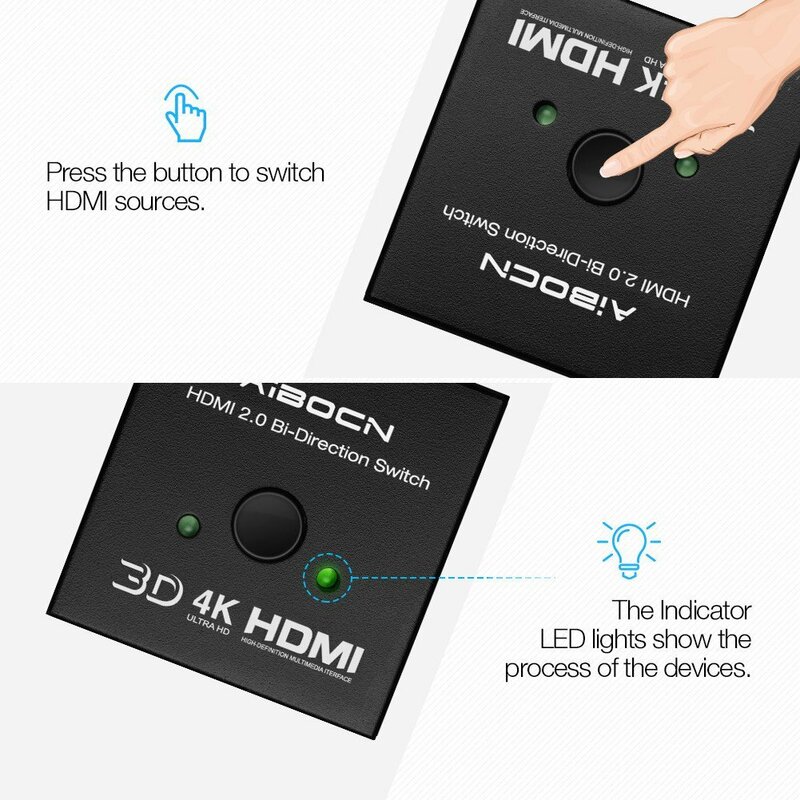 This HDMI Bi-direction splitlter/switch is able to distribute 1 HDMI source to 2 HDMI displays simultaneously or switch 2 HDMI sources to 1 HDMI display. 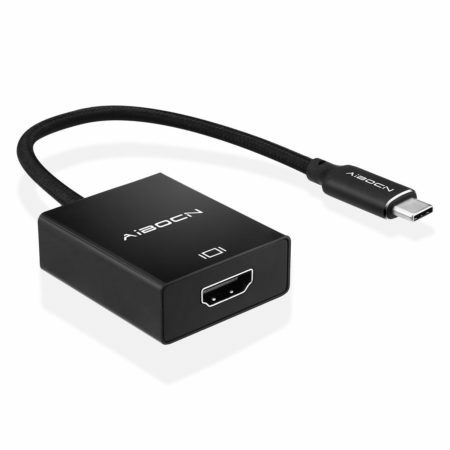 It almost supports all available audio options for Digital Audio Format: DTS-HD/Dolby True HD/ LPCM 7.1/DTS/Dolby-AC3/DSD master audio. 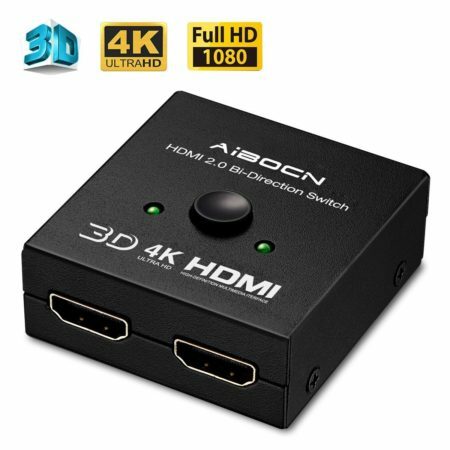 It widely supports HD 4K*2K, 3D for HDTV, PC, DVD, STB and more. 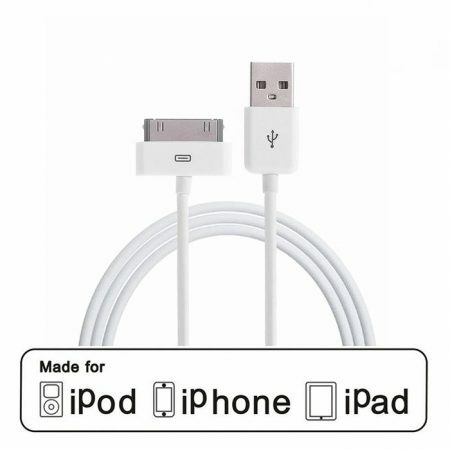 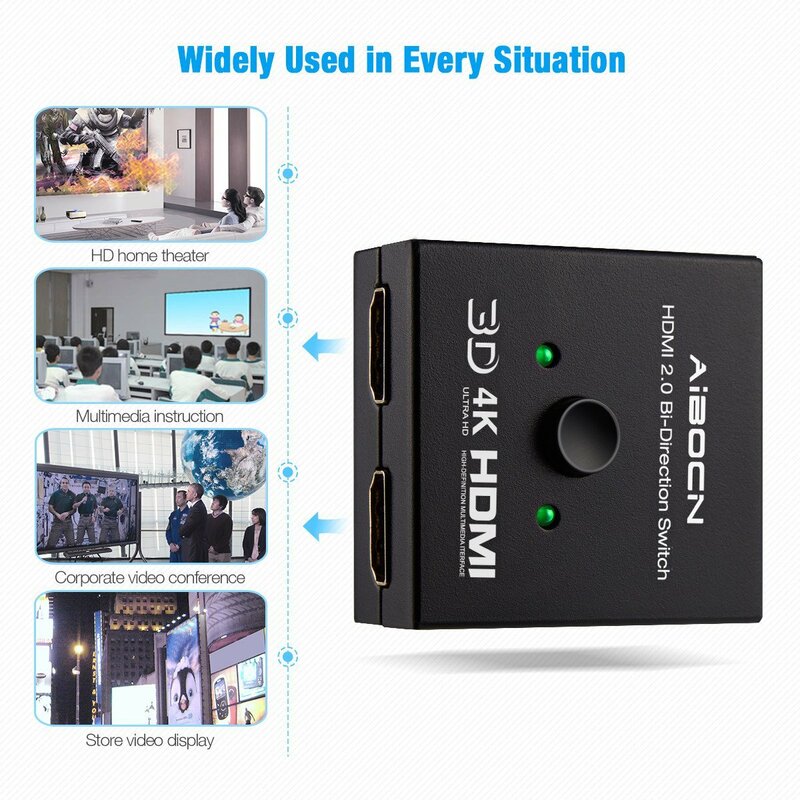 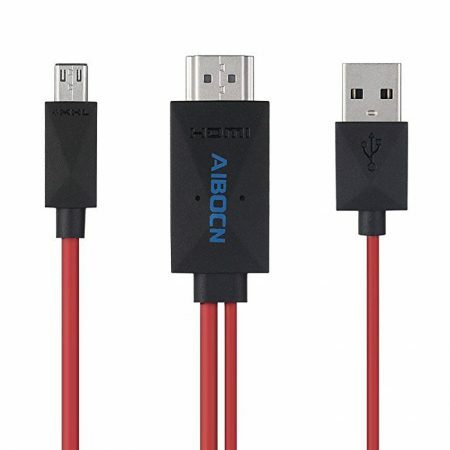 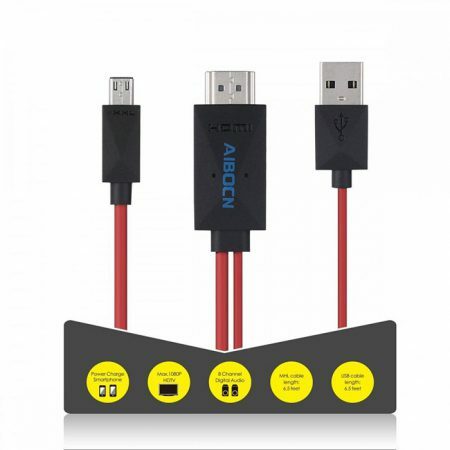 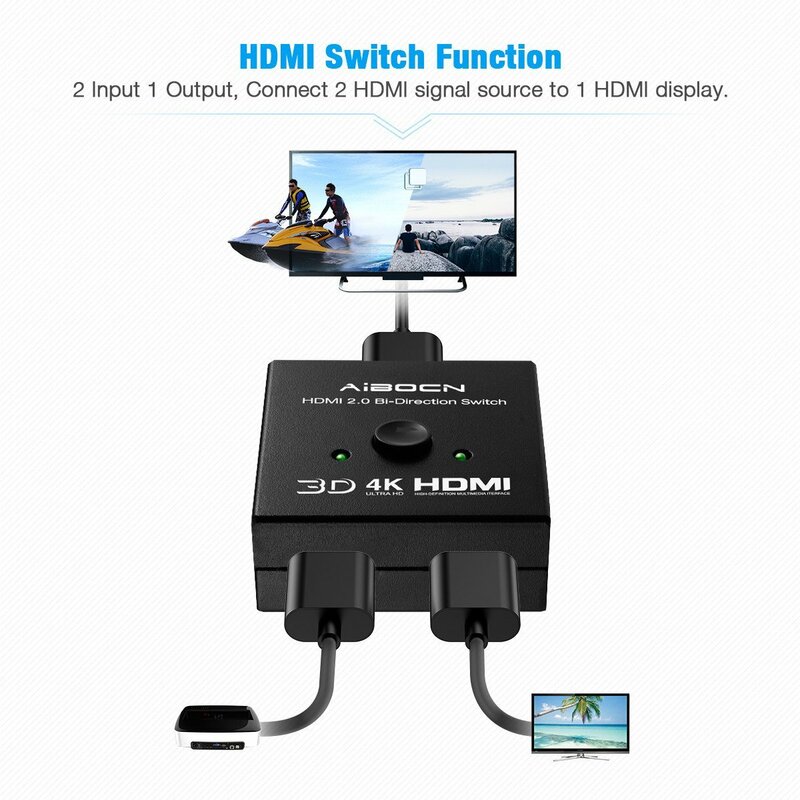 It can be used as an HDMI splitter and also an HDMI switch for HDMI display connection. 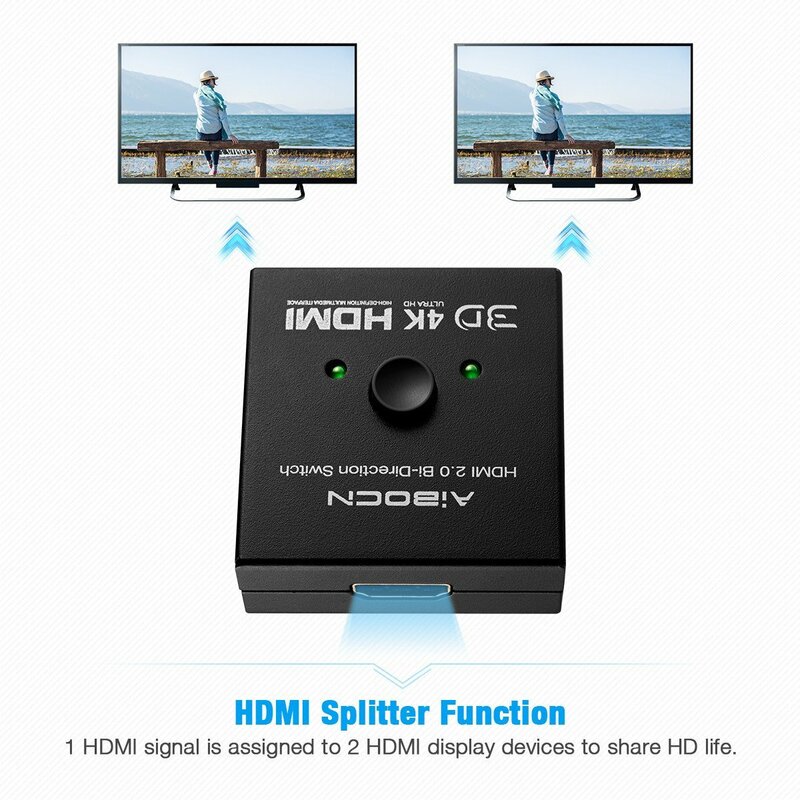 This switch and spilitter is designed to work for HDMI devices, such as PC, X-box, STV/Blu-ray, HD player, PS3/4 and other devices and display. 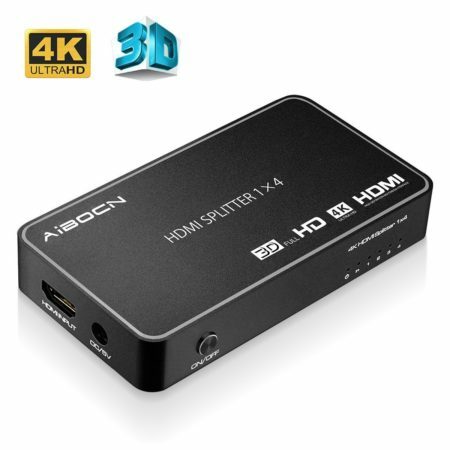 Other than wide compatibility, the splitter has integrated advanced chip to optimize the high definition quality. 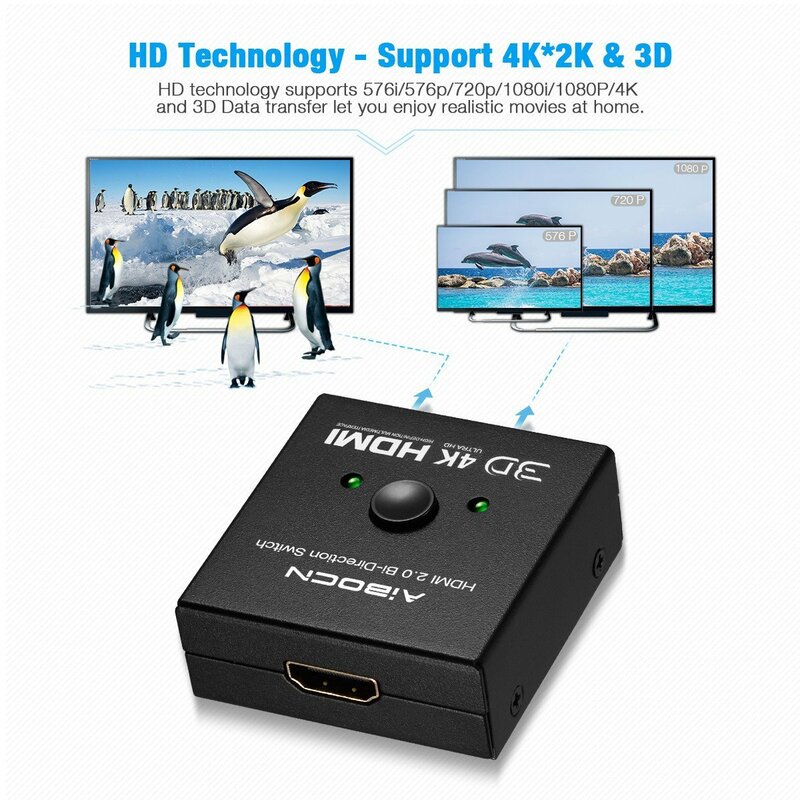 This HDMI spilitter device is user-friendly and portable. 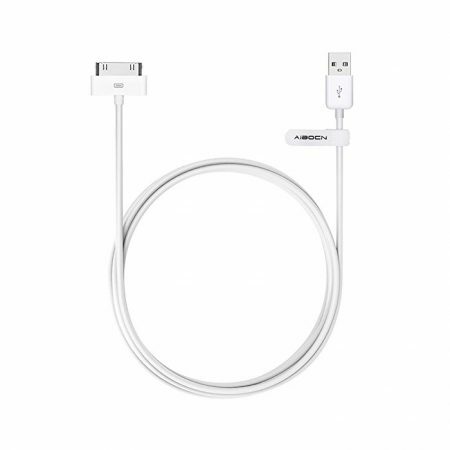 You can hold it in hold conveniently thanks to the palm-sized design.